Judging by the frequency that self-driving cars are mentioned in scientific discussions and the media, they are not only the next big thing, but might actually take over as our main means of transportation. Traditional industries like railway, on the other hand, seem to have lost that race already. But, what if new technologies, such as Internet of Things (IoT) devices and Artificial Intelligence (AI), were not only used to create new transportation modes, but to transform old ones as well? If we get this digitization right, then trains, as the winners of the first industrial revolution, could in fact be here to stay. It is true that the technology behind autonomous cars has enormous potential and that they might emerge as the winners when it comes to shorter distances. But I believe that trains have a very real chance at becoming the transportation of choice for long-distance travel. How exactly could digitization make this happen? With the help of new digital processes, rail companies could increase the capacity of their networks and resolve traffic bottlenecks. This will, in turn, help more people reach their destinations sooner. The use of emerging technologies could also mean that the trains of the future will not only be more comfortable, but also more energy-efficient, safer and faster than cars over long distances. Some pieces of this puzzle are already in place. What is left for the rail industry is to identify the change still necessary to become ready for the future, and to accept IoT technologies and AI as its chief enablers. Government institutions examine the energy efficiency of different transportation means on a frequent basis. A recent US study, for instance, shows that high-speed trains are up to eight times more efficient than commercial planes, and four times more energy-efficient than cars over the same distance. While the overall trend remains the same globally, the numbers vary for different regions. High-speed trains in Europe need only one-third of the energy used by automotive travel. The Japanese high-speed rail industry is even more advanced – it uses only one-sixth of the energy. 2. Rail traffic is clean. 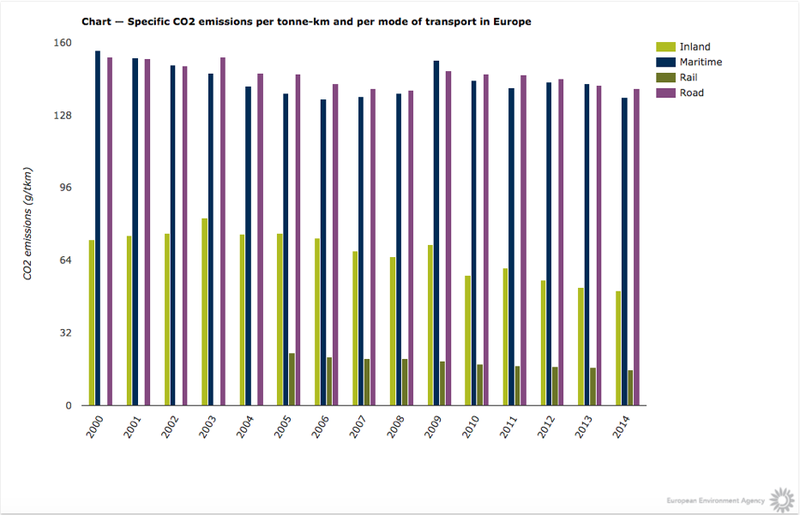 Cargo transport on the road produces eight times more CO2 emissions than freight trains. These numbers become even more clear when combining freight and passenger transport: railway companies only account for 1.3% of the total CO2 emissions in the transport sector, whereas aviation makes up 12.4%, ships 12.7% and road transport amounts to 72.2% of the emissions. 3. Rail is safer than other means of passenger transportation. The US Department of Transportation reports that, in 2010, the number of people injured on the highway was Link noch nicht final higher than the number of casualties in railroad accidents. In Europe, where the predominance of car travel isn’t as pronounced as it is in North America, the numbers still show a clear trend: fifteen times as many people were fatally wounded in car accidents in 2013 than in railway-related accidents. 4. Rail is already on the rise. The total length of high-speed railway lines in Central Europe has increased 16-fold since 1981 and the expansion of the European rail network is still ongoing. 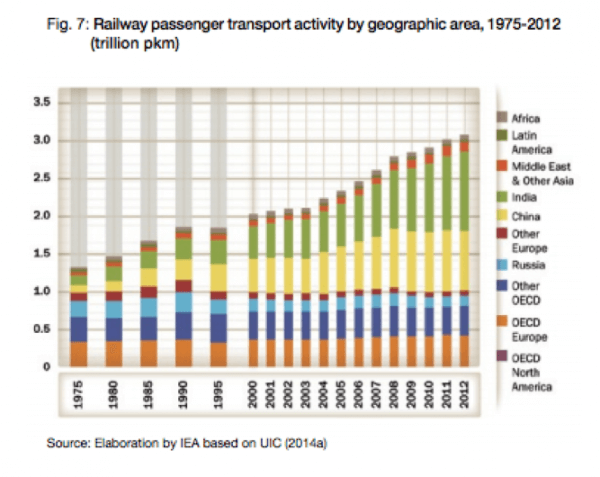 In general, worldwide passenger transport by train has doubled since 1985. People seem to like taking the train and they won’t stop anytime soon. What are the challenges that lie ahead and how can we tackle them? Low network capacities and traffic bottlenecks on busy routes are among the main factors that are holding back progress in the rail industry. If we can’t figure out how to bring even more passengers and trains on railway tracks, and how to make sure that these trains arrive on time, then rail won’t be part of the “future of mobility”. The rail industry needs to adopt new technologies and operational processes in order to keep up. IoT technologies and AI have the potential to enable this change ­– and in some areas it has already begun. Smart infrastructure components and autonomous trains will soon be interconnected and able to communicate with each other. This machine-to-machine communication supports the efficiency of train services. It also means that smart sensors can transmit field data to the right platforms as efficiently as possible, that machine data can be used for more than just operation protocols, and that data from very diverse sources can easily be aggregated. If train network operators combine these smart devices with machine learning algorithms, they can optimize their routes in real-time and distribute traffic more evenly. A very common reason for temporary traffic bottlenecks are unplanned maintenance actions. Railway lines are closed completely or speed restrictions are put into place until the damage to the infrastructure can be fixed. Even though this problem has been around for as long as rail travel exists, it does not mean we have to accept it as inevitable. Rail companies have already started to install smart sensors in their trains and infrastructure, so that they can react faster when problems arise. Technologies, which use both this so-called “condition-monitoring” and AI, go one step further. These solutions not only monitor the current health of rail infrastructure, but can also predict wear and potential failures in advance, and so enable rail companies to plan their maintenance in time and prevent train delays. Route optimization in real-time, and fewer train delays caused by unplanned maintenance would not only reduce operational costs for rail companies, but make rail travel more appealing to passengers. Add this to helpful IoT applications for the modern traveller, such as interactive maps of train stations, mobile tickets or journey planning apps, and railway will become part of the future of transportation – especially for long-distance travel. This post was originally published at agenda.weforum.org.